A few weeks ago, I was given a board game to review, Truth Be Told, which is available for purchase online now and at select retailers, but will be available nationwide next year. In order to properly review the product I invited several friends over (14 actually) to play the game and to drink some martinis. The tagline for the game say's it's a pretend to know your friend's party game. 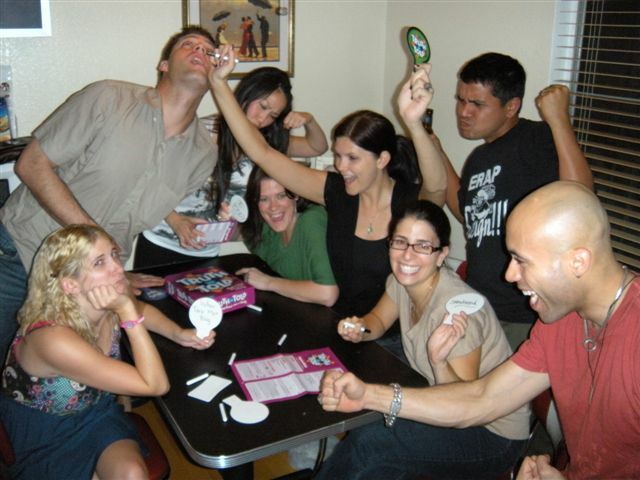 Each round, one of the players is the host, and picks up a question card such as, “Truth be told, I hate _____.” The host writes a truthful answer – Cirque du Soleil. All other players pretend to be the host, and write bluff answers –which seems like something the host would write - Ryan Secrest, prunes, medifast, curry. The host collects and reads all answers aloud, and players try to guess the true answer to score points. Bluff answers score points too if yours is selected that is – so there are a lot of ways to win. We received some funny responses during the night and my husband even laughed so hard tears came out during one round where we all bashed and stereotyped a friend with our responses. Our only complaint with this game was that because scoring is done on a dry erase board it's easy to wipe away accidentally, which we did at one point, oopps. Here's our best staged board game commercial poses. What do you think? Would you cast us? 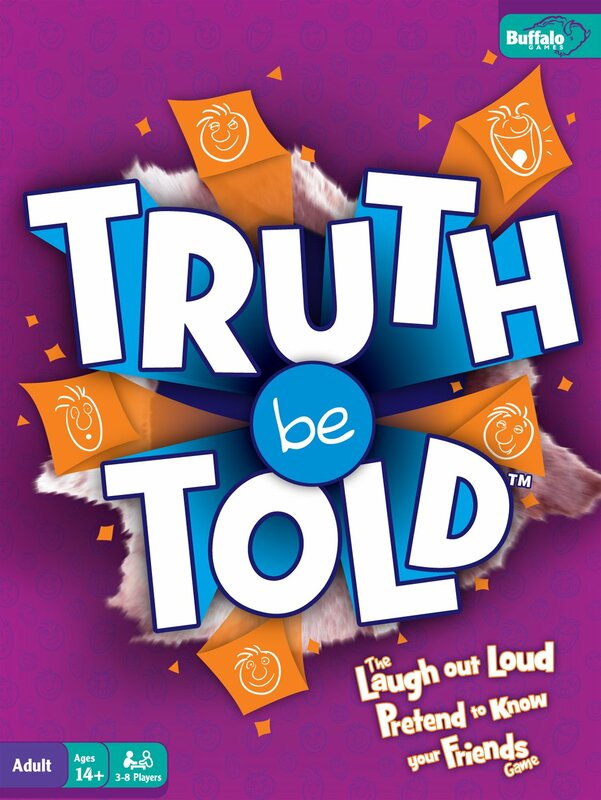 Truth Be Told is for 3-8 players, ages 12+. It has an MSRP of $27.99. You can purchase it ahead of time at www.buffalogames.com/truthbetold. GIVEAWAY: To win your own early release of the game, just comment here. To enter, reply to this post with a valid email address or with a profile where I can find a way to contact you if you should win. Also, you'll receive an additional entry if you tweet this contest too. Ends Saturday October 24. Update: Congratulations Susan! Have fun playing the game. Perfect for a night in with friends! Game night is my favorite! Looks very fun! Board games are awesome, such good group entertainment! Sounds like a more personalized version of Balderdash! Loves it! Need some new board games ... looks like fun. I love game nights! This game was so much fun! I love board games! My closet is full but what's one more? sounds cool i like playing games. Looks as boring as as Barbara Streisand, I will not buy it! Wow, this looks like such an awesome fun game!! I am always looking for new games to add to my collection. Thanks for the review!